I recently got a VitaMixer so I have been trying different smoothie combinations. 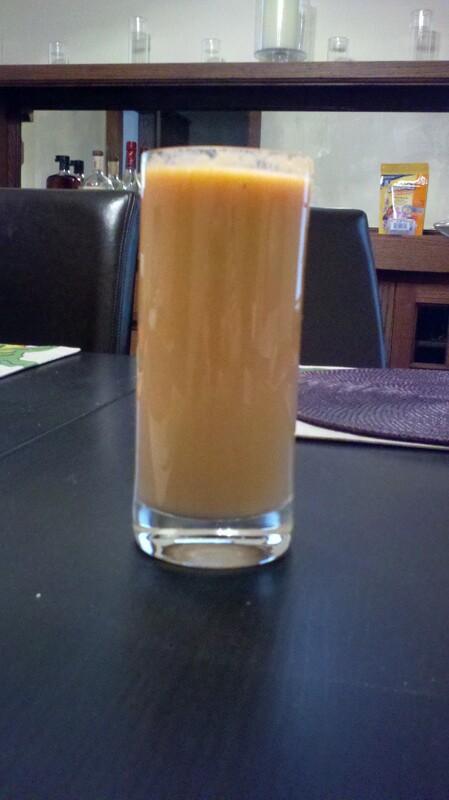 This smoothie, if done with all fresh fruit, is high in Vitamin C, A, Potassium and Manganese. Now, with a VitaMixer, I can throw all of the ingredients in and blend. But, it will be different if you have a regular blender at home. You can blend everything except the Orange and the Carrot. You can either omit those items, juice them separately or use store bought carrot and orange juice. I’ve been eating a LOT of fresh fennel these days because it helps support healthy breast milk production. It is also a good vegetable to have in your milk output for any upset stomach that your baby may have. This recipe is delicious and SO easy to make. Enjoy! Combine all shredded ingredients in a large mixing bowl. In a separate bowl, whisk the juice, vinegar, soy sauce and ginger. Slowly add the sesame oil and honey. 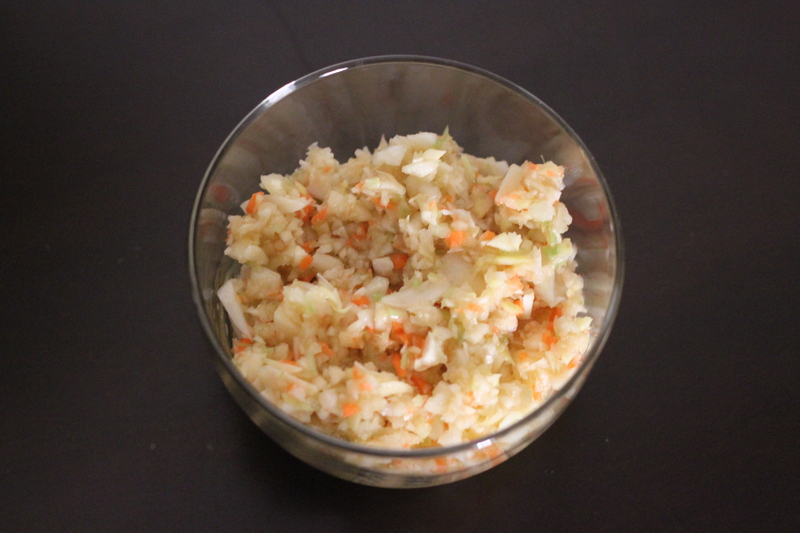 Add dressing to slaw and serve immediately or for an even better flavor, chill for 1-3 hours. It sounds funny, but I never ate beans until I moved to Spain and made friends with people from the UK. To this day, ‘Beans on Toast’ or ‘Jacket potato and beans’ are my two favorite quick and easy meals to eat. By the way, a ‘Jacket Potato’ is what Americans call a ‘Baked Potato’. The first time I heard this, I was very confused because I had never heard a piece of clothing be used to describe a food. For some reason, when Mel and I were living together in Barcelona, we got on a pretty serious lentil kick. We came up with a scrumptious way to prepare them. This is what I started out with but added a few extra things to make it healthier for a new mom breastfeeding. I don’t have much time to eat let alone prepare a nice meal. However, breastfeeding is exhausting and I need to be refuelled immediately. Not only can I prepare this meal quickly, but the lentils provide my body with Iron, Folate, Vitamin B1 and Fiber. You saute the onion and carrot for 10 minutes or until the carrot becomes tender. Next, you pour in the can of lentils, mustard, cream and Worcestershire Sauce. Turn your heat low and let this simmer together while you prepare your rice. I buy the kind that is ready in 10 minutes. Just combine the rice with the lentil mixture and enjoy!